The Most Comfortable Rides on the planet!!!! And YES you can DRIVE all of them!!!!! WATCH THEM IN ACTION!! VIDEOS HERE!!! PLEASE REMEMBER TO TELL A FRIEND.. THEY WILL APPRECIATE IT!!!! 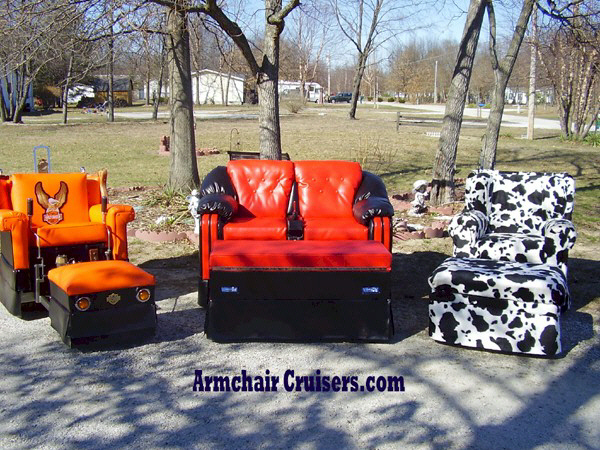 CUSTOM MOTORIZED COUCHES, SOFAS, AND LOVESEATS!!!!! IS 40 MPH FAST ENOUGH?????????? ORDER YOURS TODAY FOR THAT SPECIAL SOME ONE!! CLICK THE PHOTOS FOR MORE DETAILED PICS!! 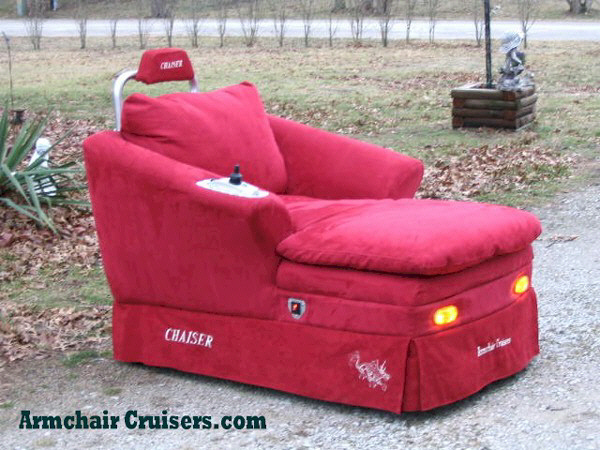 Welcome to Armchair Cruisers. The most comfortable RIDES on the planet!!! GAS OR ELECTRIC, THE CHOICE IS YOURS!! YOU CAN SEE THAT WE ARE SERIOUS ABOUT COMFORTABLE RIDES. FULLY EQUIPPED WITH HIGH TECH DRIVE SYSTEMS AND ALL THE CREATURE COMFORTS YOU CAN IMAGINE!! DRIVEN WITH A SIMPLE JOYSTICK, THESE CREATIONS ARE CONSTRUCTED FROM THE GROUND UP, ONE NUT AND BOLT AT A TIME FOR THIS SPECIFIC PURPOSE. THEY ARE NOT SOME SOFA TOSSED ON A GO CART FRAME OR ANYTHING LIKE THAT. TEN YEARS OF RESEARCH AND DEVELOPMENT HAS LEAD TO SOME OF THE COOLEST MACHINES EVER CREATED AND THE GREATEST PART IS YOU COULD OWN ONE. 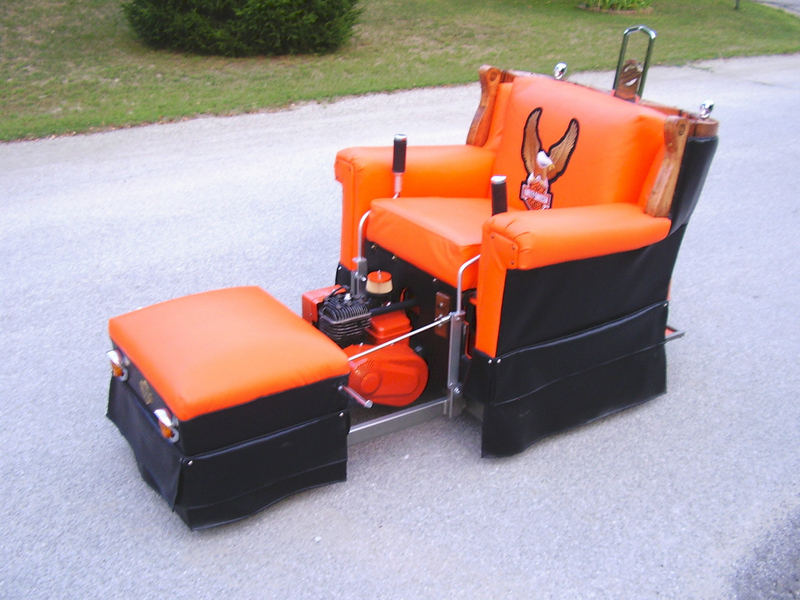 HAND CRAFTED BY A GROUP OF PROFESSIONAL COUCH POTATOES THAT HAPPEN TO BE SERIOUS ABOUT MAKING A COMFY RIDE. A GREAT DEAL OF TIME HAS BEEN SPENT ON EVERY DETAIL. FROM DIAMOND PLATE FLOOR BOARDS, TO MARINE GRADE VINYL, WE HAVE ENSURED THAT OUR MACHINES ARE TOP SHELF QUALITY AND WILL LAST FOR YEARS AND YEARS TO COME. WHAT IN THE WORLD WOULD YOU DO WITH ONE OF THOSE?? WELL FOR ONE THING, YOU WILL MAKE YOUR FRIENDS GREEN WITH ENVY. 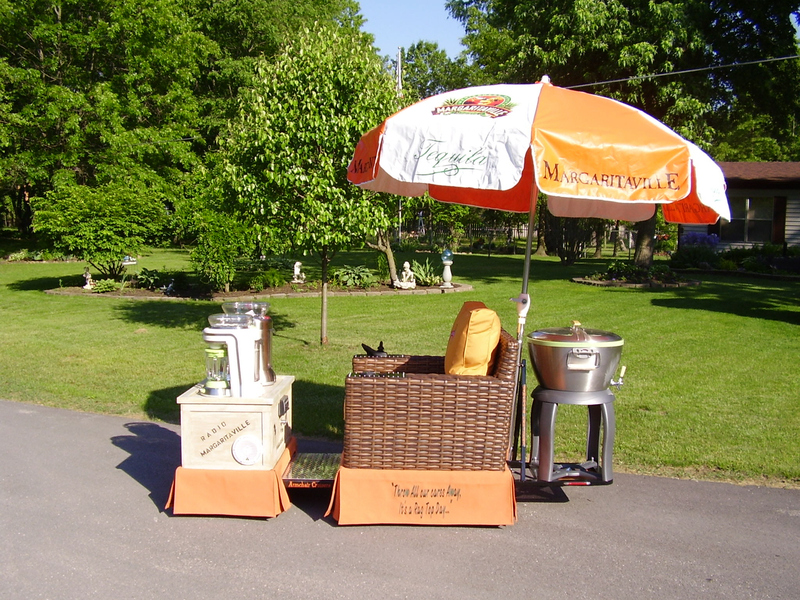 WE PRIMARILY DESIGNED THE MACHINES AS GARAGE FURNITURE THAT YOU COULD GO GET THE MAIL IN, CRUISE TO THE STORE OR GIVE THE GRAND KIDS A RIDE THEY WONT FORGET. EASY ENOUGH FOR A CHILD TO OPERATE, THEY ARE IDEAL FOR MORE APPLICATIONS THAN I CAN LIST HERE. YOU DONT HAVE TO GO ANYWHERE TO ENJOY THEM. 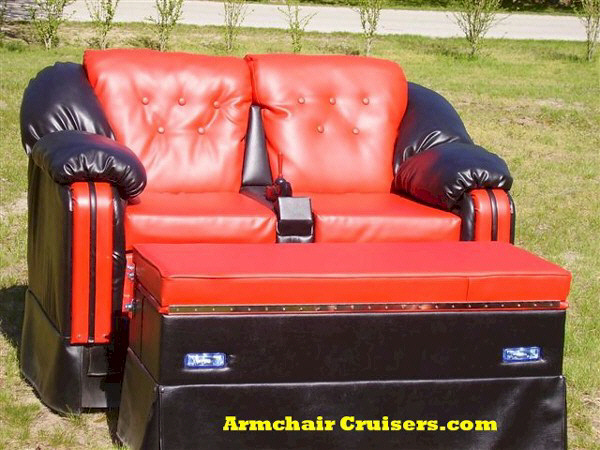 WITH A THUMPIN SOUND SYSTEM, THEY ARE IDEAL FOR CAMPGROUNDS, RACE TRACKS, CAR SHOWS, AUTO AUCTIONS, ELDERLY TRANSPORTATION OR JUST TO SIMPLY TAKE A NAP IN WHILE GETTING SOME SUN. READ A BOOK OUTDOORS IN COMFORT, THE LIST GOES ON AND ON AND ON. CLICK HERE TO check out the videos of the chairs in action!!! BE SURE TO SHARE THIS SITE WITH A FRIEND!!! MEDIA AND BLOGGERS, FEEL FREE TO REPOST ANY PICTURES OR INFORMATION ON THIS SITE. "RUMBLE BEE MAKES IT DEBUT"